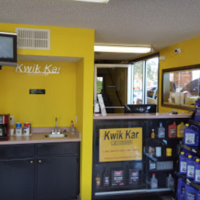 Whether it’s a simple oil change or a more complex maintenance need, Kwik Kar aims to get it fixed fast and get you back on the road. 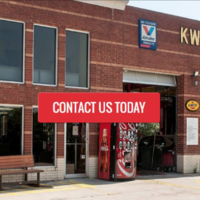 We can handle anything from brakes to radiators, tire rotations to timing belts, and everything in between. 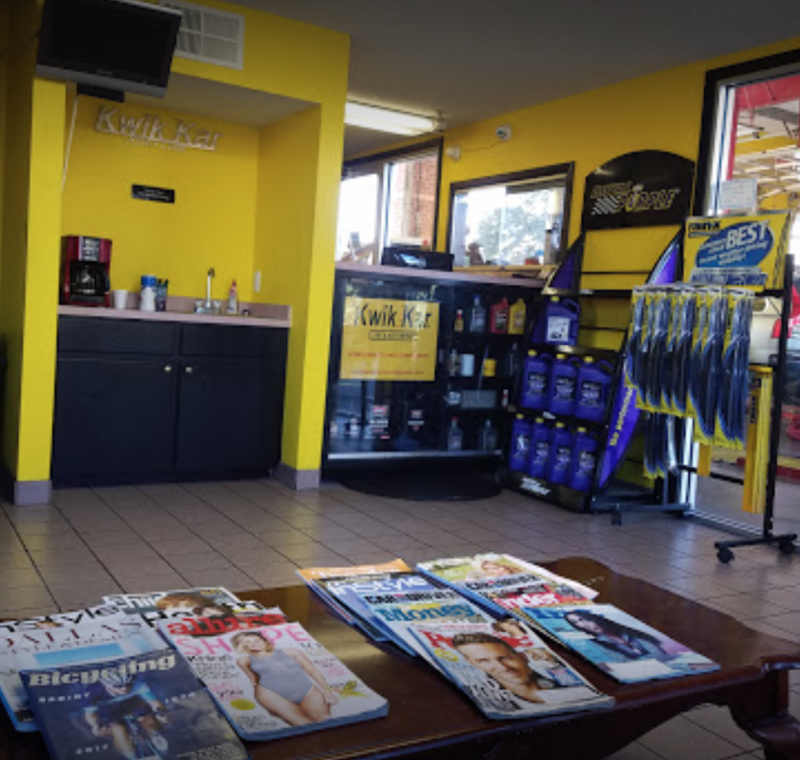 We are a full-service, comprehensive and consultative auto repair shop. Our ASE Certified Master Technician and our certified technicians will perform all necessary repairs with integrity, honesty, and professionalism. "Honest is the best policy. I used to get my oil change and basic maintenance work at this location; and the last time I was there, I was told I needed $800 worth of parts. With my vehicle being fairly new, I was skeptical and got a second and third opinion. All I needed were new rotors and to change the air filters (cabin and engine), which was much less than $800. I am very disappointed, since they are conveniently located by my home. The trust is no longer there due to their dishonesty. Response from the owner was 2 years after I submitted this review. What good is it t me now? Sorry but just work on treating customers better. Best of luck!" "Friendly staff and great service. I always take my cars there for all maintenance service and auto repairs. Very fair pricing and honest techs. Thanks Guys"
"I showed up at 6:00 pm with a hot engine and Max and Cooper stayed two hours after closing to put in a new radiator and hose. They helped me so much. 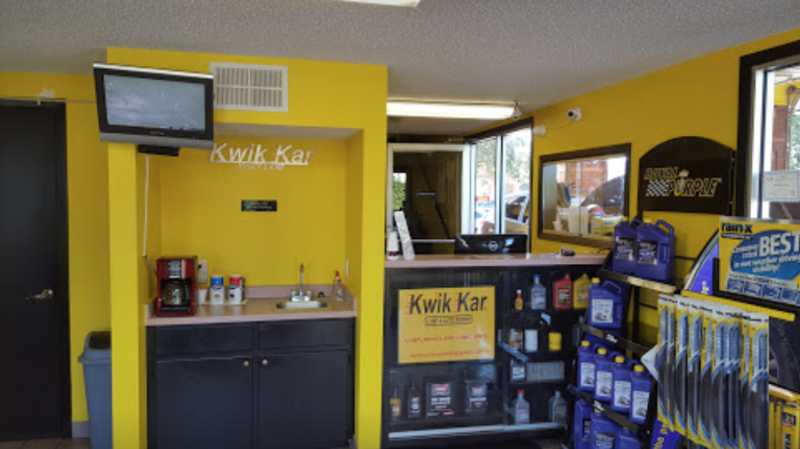 I highly recommend this Kwik Kar. I have been here before for a oil change and they were great then. I appreciate the guys going beyond the call of duty and giving me the best service ever. I will tell all my friends to come to them for all their car services ." 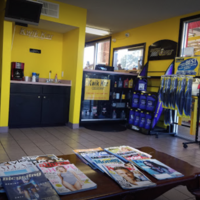 "I purchased my car 3-5 months prior to driving here for a quick oil change just to see if I can trust these people. Didn't work out like that at all: after taking my car into the garage, within minutes they tell me these 3 problems and a bill of over $300. Now, I came in for a quick oil change of what I thought was a little over $21. I declined all except the oil change and for such a small 4 cylinder car, it was $45!? It was the quick pushy sales pitch of what was wrong with the car when these guys only opened the hood without taking it's time to really inspect. I wasn't able to go into the garage either due to safety and see 'old belt, old brake fluid, anti-freeze needing flush'. Right when I walked into the office before sitting down, telling me all these all of a sudden, problems... it just flagged me and felt very uncomfortable with my first visit. Seriously, just ask the customer what would they like to be done!? That's how you build trust. Not fast talk these 'can't see the problem' because I"m a woman, old man, non english speaking person, or a dumb teen." "I highly recommend this place! Outstanding customer service. Chris is fantastic! He will greet you with a bright smile and explain everything to you. I knew that my car needed quite a bit of service. He gave me a quote which was reasonably priced and I felt completely comfortable the entire time. I've been to other shops where I feel like I'm being ripped off and they just sort of gave me the creeps. Not this place. Very cool. My only gripe is they are understaffed. Earlier this year, I had to return at a later date to get an oil change because they were busy. I won't take away any stars for that because it didn't really affect my experience. Thanks guys, my car is doing great!"